Burghley House the perfect setting for a fine romance? In the second part of his story of an 18th Century romance, Chris Upton uncovers an extraordinary tale of eloping sweethearts, divorce, unrequited love and premature death. Last week we picked over the bones of one of the 18th Century’s least successful marriages. In the one corner stood Emma Vernon, heiress to Hanbury Hall near Droitwich. In the other was her husband, Henry Cecil, nephew and heir to the 8th Earl of Exeter, with high expectations of one day inheriting Burghley House, the greatest of all Elizabethan mansions. Henry and Emma married in 1776, and had years of leisure to repent of the fact. Emma began an affair, not with some rich dandy, but with a humble curate from the local parish church. In 1790 the couple eloped, leaving Henry to nurse his tattered pride, a large house in Worcestershire, and mounting debts. There would, eventually, be a divorce, but not for the moment, and not before one of the most extraordinary romances in English history. In normal circumstances, when one partner runs off, the other stays put. Not in this case. Unable to face the scorn of his neighbours, not to mention the demands of his creditors, Henry decided to lie low, at least for a time. He chose as his bolt-hole the Shropshire village of Great Bolas, north-west of Newport, and adopted the name of John Jones to conceal his real identity. In Great Bolas Henry took lodgings with a farmer called Thomas Hoggins in the summer of 1789, before buying a smallholding in the village. Farmer Hoggins, as it happened, had a 16-year-old daughter, and I suspect you already know where this tale is heading. If Henry’s life was not messy enough already, he now began a relationship with Sarah Hoggins, an affair that led to the altar in April 1790. As far as Sarah knew, Mr Jones was simply an eligible older man with a little land; she had not a clue that he was heir to one of the greatest country estates in England, as well as a bigamist, and a Member of Parliament. It’s not something you ask. In the coming months, Henry Cecil slowly began to extricate himself from his tangled past, setting in motion divorce proceedings against his first wife. By 1791, and a private Act of Parliament later, Henry was free to re-marry, and took Sarah down to London for a second marriage ceremony. Here for the first time he used the name Cecil. By this time Sarah was pregnant with their first child. To Great Bolas they returned, where Henry erected a house (Bolas Villa) for himself and his new wife. In the following two years Mr and Mrs Jones had two lovely daughters. Sarah’s life was now about to turn into a fairy story, though fairy stories are not usually built upon such a level of deception. In 1793 the Earl of Exeter died, and the title and estate passed to his nephew, Henry Cecil (or John Jones). The frog from Great Bolas was soon to reveal himself as the 10th Earl of Exeter. 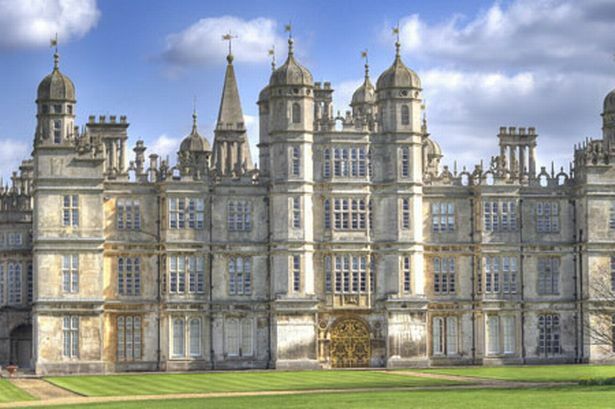 We are told that Henry held on to his secret until the moment he led Sarah through the imposing doors of Burghley House. The farmer’s daughter from Shropshire was suddenly a countess. This is too good a story to be wasted on me; half a century later the Poet Laureate took it up. Alfred Lord Tennyson’s ballad, The Lord of Burleigh, was first published in 1842, and takes a somewhat poetic view of the facts of the case. For one thing, in the poet’s re-imagining, Henry is not a yeoman farmer, but a landscape painter; for another, Sarah never fully adjusts to life as the lady of Burleigh. She remains the “cottage countess”, a Shropshire fish out of water, for the rest of her life, yearning for the days when husband and wife shared their simple existence in Bolas. And she takes that sense of regret with her to an early grave. It is Tennyson who tells us that Sarah remained ignorant of her husband’s true identity until they passed through the gates of Burghley. Certainly this makes a better story. There’s no doubt that Tennyson invested the tale of Henry and Sarah with more than a little Victorian romanticism, presenting an object lesson in miss-aligned backgrounds. When John Everett Millais illustrated the poem for a later edition of the Tennyson’s works, it was on Sarah’s death-bed that he chose to focus. There she is, crowded in by her anxious maids, her husband nowhere to be seen. Interestingly, one of Millais’ preliminary sketches for the picture, showing Sarah’s young son in the arms of his nurse, is in the collections of Birmingham Museum & Art Gallery. But it was true enough that Sarah, Countess of Exeter, died young, at the age of just 23, after giving birth to their second son. This was four years before Henry was created 1st Marquess of Exeter in 1801, the first such elevation in the English peerage. The tragedy did not stop the Marquess marrying for a third time, though there were no more children from this subsequent match. Henry’s heir remained the baby boy who witnesses his mother’s death in Millais’ moving illustration. Transmission of the family titles was not interrupted. Henry Cecil himself died in 1804, and was buried beside Sarah at St Martin’s church in nearby Stamford. Henry’s third wife – like him a divorcee – would later be joining them. Is this a sad or a happy tale ? I’ll leave you to decide.